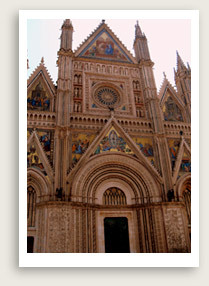 Orvieto Tours Include: Our Orvieto tours from Rome include private transportation, driving guide service, taxes, toll, parking. Optional: A special expert guide for the Cathedral and museums may be booked. Customize this tour of Orvieto and include a tour of Civita di Bagnoregio. Inquire. Let us take you on one of our private tours Orvieto, an unforgettable day trip from Rome not to be missed. 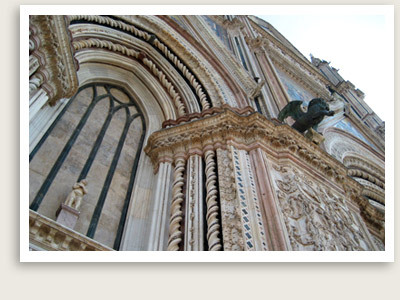 Our private tours of Orvieto will take you to one of the most beautiful cities in Umbria. This walled medieval city, dates back to the Etruscan period, 9th century BC. It is also famous for its wine, Orvieto Classico. Your tour of Orvieto will cover many attractions including its beautiful Gothic cathedral with important frescoes by Signorelli and Fra Giovanni. The city boasts many attractions, to include museums, shops, cafes and restaurants. Another interesting thing to do is in Orvieto is to tour the underground city, made up of labyrinth of caves, tunnels, stairs and passageways, unaltered for 2,500 years. Note that from March to January, the underground tour is only offered at selected hours.